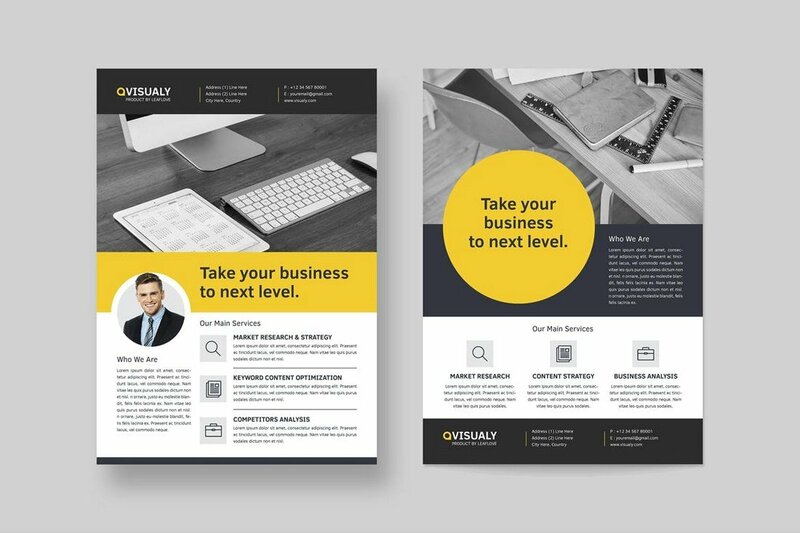 Today we’re bringing you a collection of the best business flyer templates to help you design professional flyers to promote your business and upcoming events. Flyers are an important part of promoting a business. 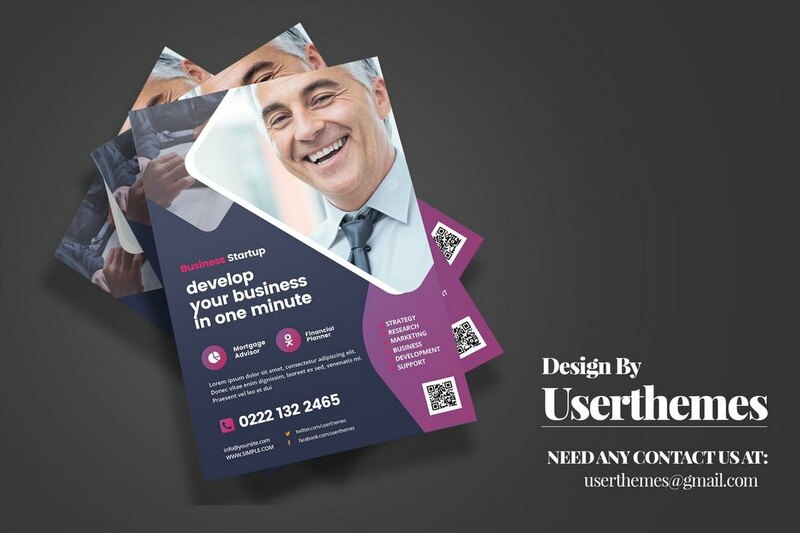 Whether it’s a business conference, a networking event, or even promoting a service, you need a perfectly designed flyer to attract the attention of your customers and build more awareness for your business. 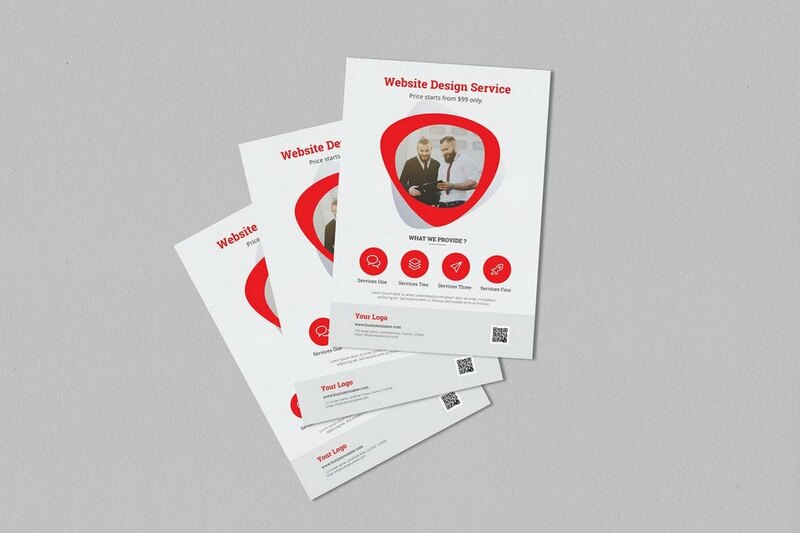 Thanks to these easy to use templates, you’ll be able to design a professional looking flyer for any type of an occasion without any expert graphic design skills. This collection includes both Photoshop and MS Word templates. 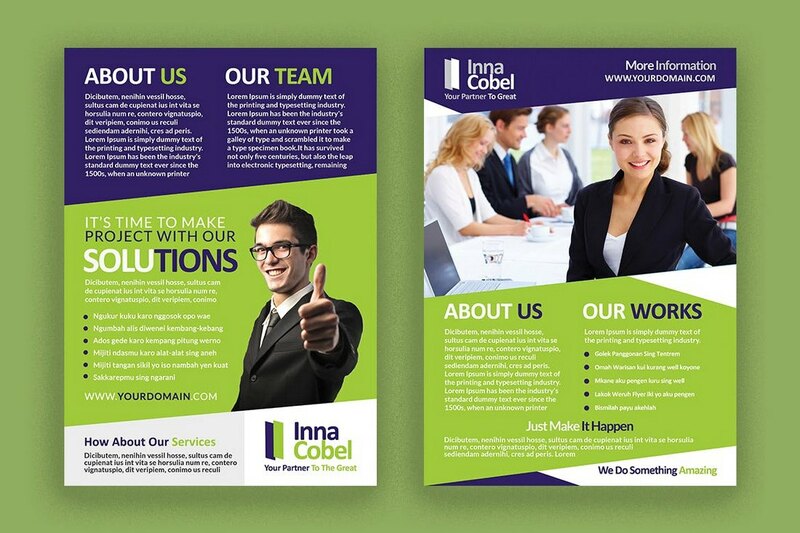 Have a look and see if you can find a flyer template for your business. 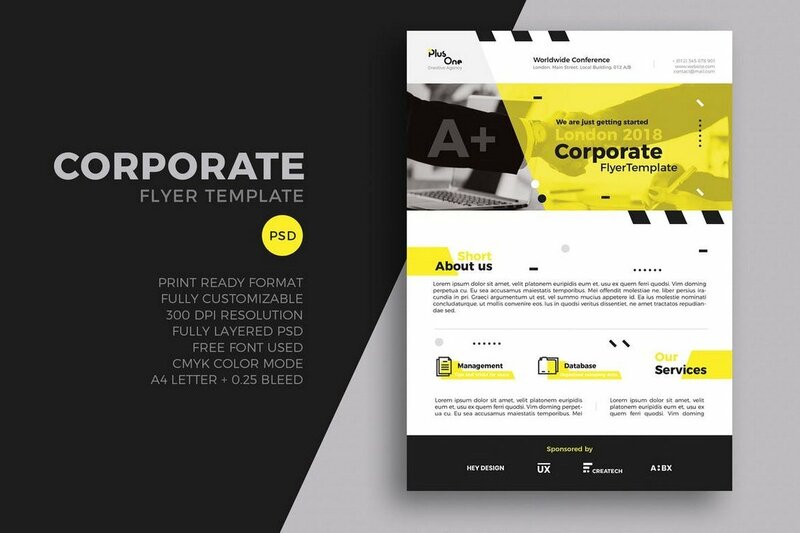 This is a stylishly designed business flyer template that you can use to promote a small business or a corporate business. The flyer features a simple design that reduces clutter to give more focus to the most important details and information about your company. 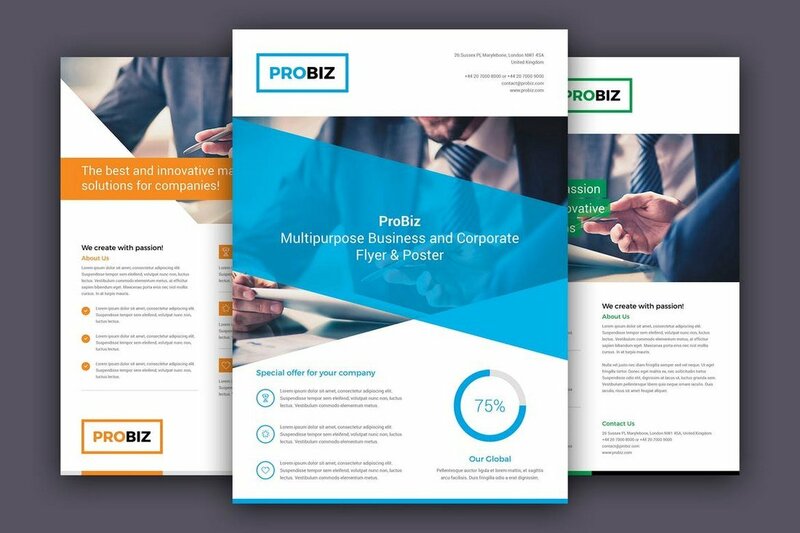 ProBiz is another corporate business flyer template featuring a modern design. The template comes with 3 different designs and in 4 different colors. 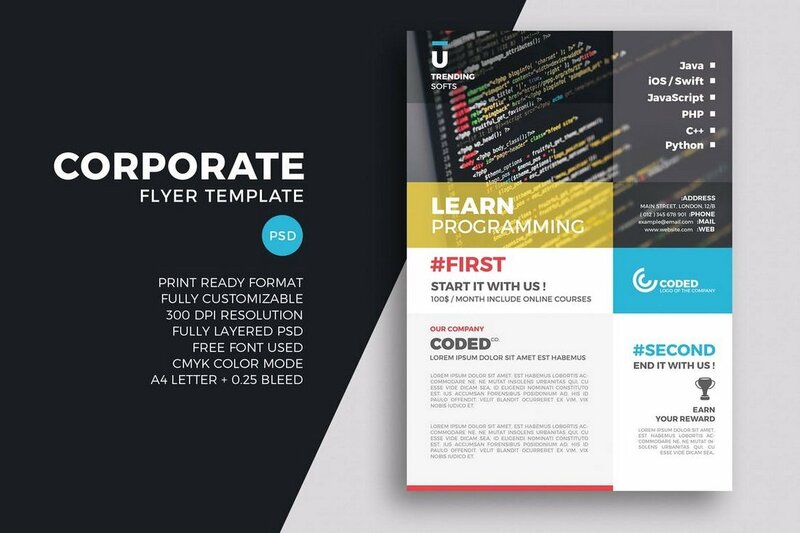 You’ll also be able to choose from both A4 and US Letter size for crafting a unique flyer for your business. 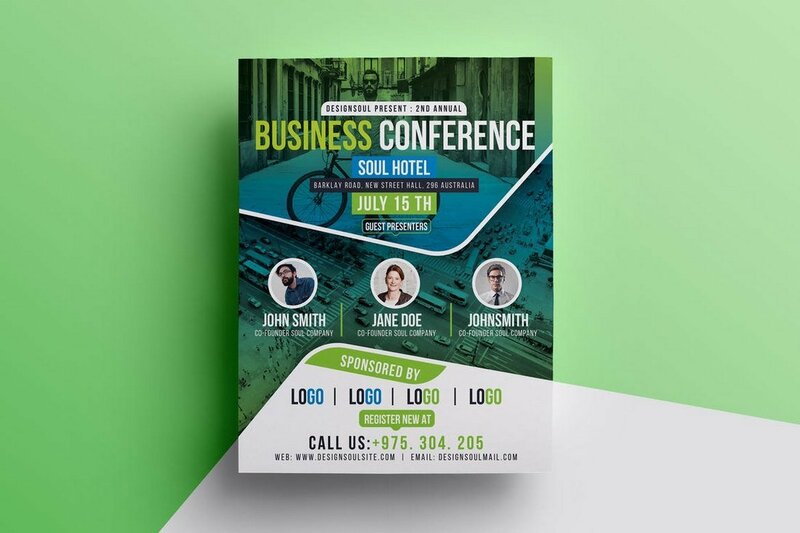 If you have a business conference coming up, use this stylish flyer template to design a flyer that’ll definitely attract more people to the event. The template comes fully-layered and with smart objects for easier editing. It’s also available in 2 different color variations as well. This modern business flyer template comes with a minimal design that properly showcases your business. It includes a large space for featuring an image and a call to action to promote your contact details. You can customize it using both Photoshop and Illustrator. A corporate business flyer made for showcasing and promoting your products and services. This template comes with easily editable PSD file with organized layers and it’s also available in A4 and A3 sizes. 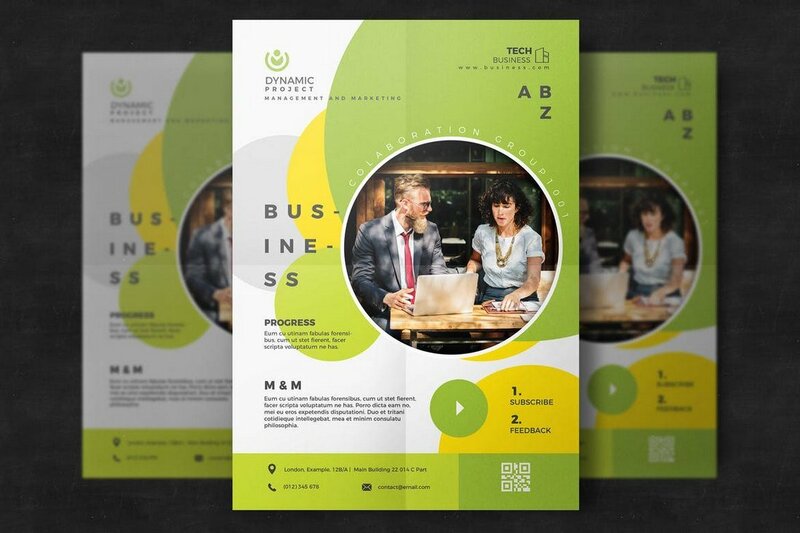 A pack of 3 unique business flyer templates. 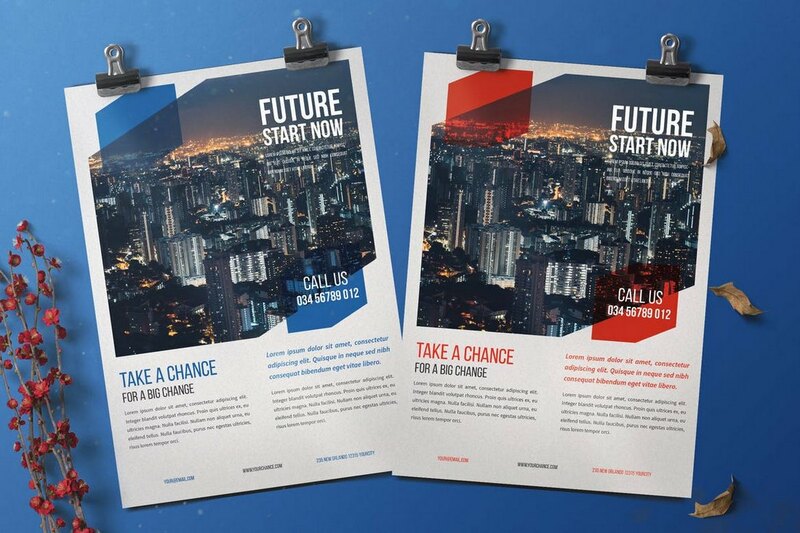 This collection includes 3 different flyers featuring modern designs with customizable colors, text, and objects. You can edit these flyers using either MS Word or InDesign. This is a professionally designed business flyer template that comes in 2 different variations. It features a modern design and lets you effectively showcase the services and features of your business. It’s compatible with MS Word and InDesign. 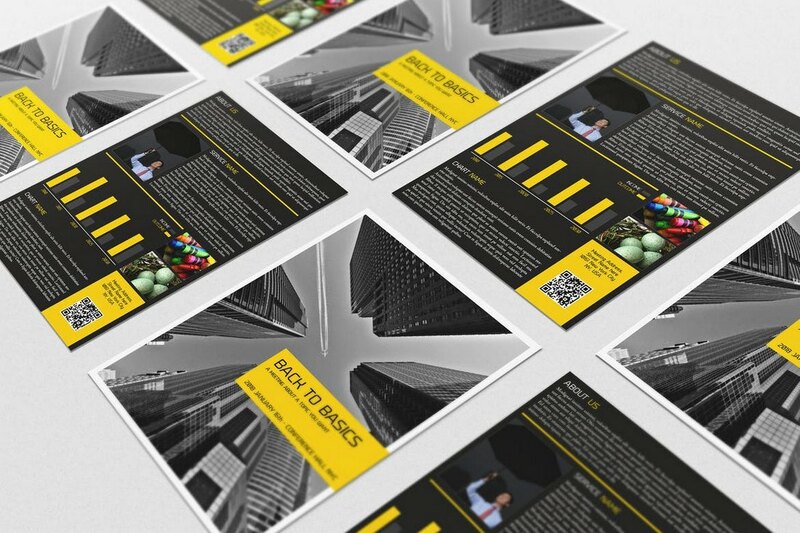 A set of 3 unique business flyer templates featuring minimalist designs. This template comes fully equipped with smart objects and organized layers to make editing much easier. You can edit the templates using Photoshop or Illustrator as well. This is a multipurpose business flyer template that will suit many different types of occasions. 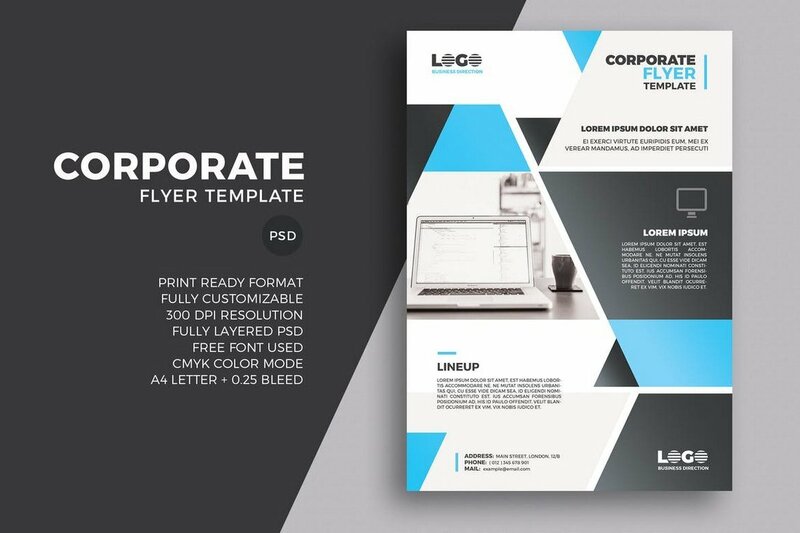 You can use this template to design flyers for business events, meetings, conferences, and more. It’s available in 2 different styles and in A4 size. 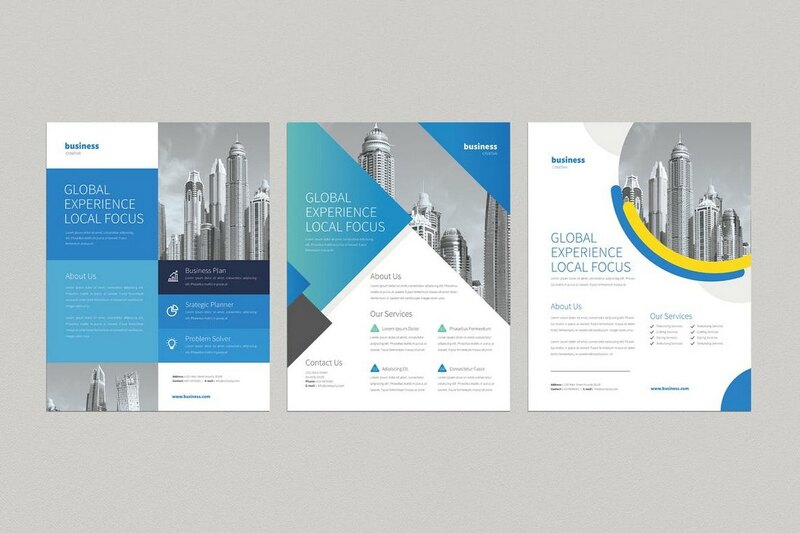 This stylish business flyer template comes in 3 different color variations. It’s available in both Illustrator and Photoshop formats and comes fully-layered with smart objects for easy customization. The elegant design of this template makes it suitable for all kinds of businesses and events. Flyers are an important part of promoting real-estate businesses. 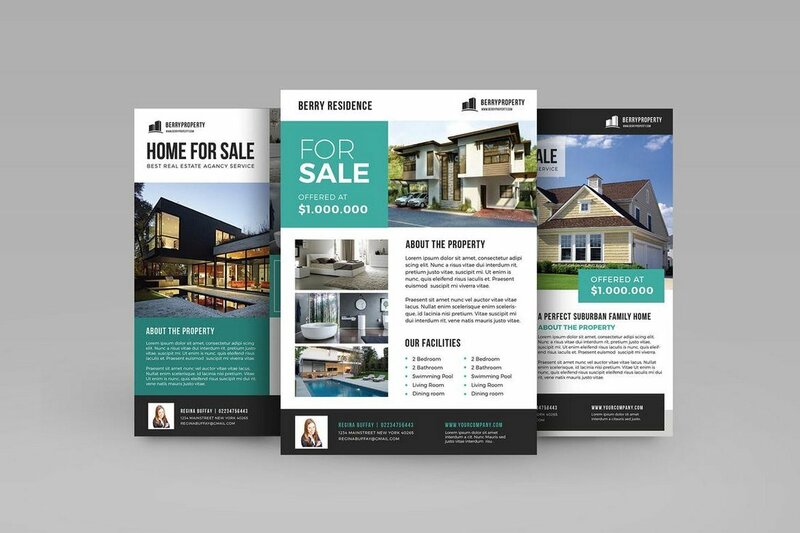 Use this modern flyer template to design flyers to promote your houses on sale. It comes with 3 different template designs in A4 size. You can edit them using either Photoshop or Illustrator. 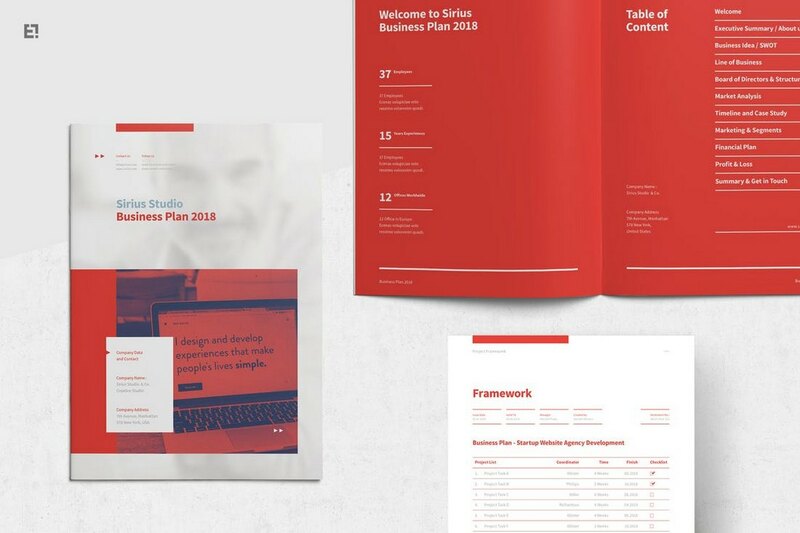 This business plan brochure template will allow you to effectively showcase your business and its mission to your customers and audience. 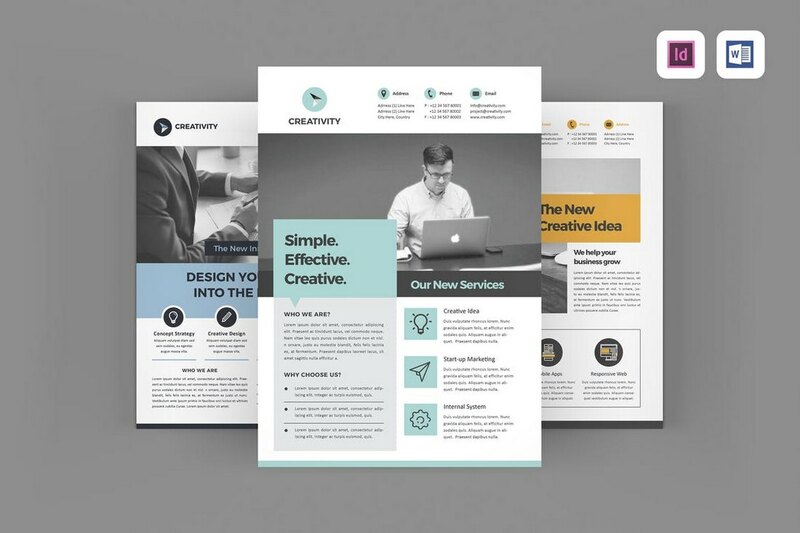 The template comes with 24 unique page designs. You can edit it using InDesign, MS Word, or Apple Pages. 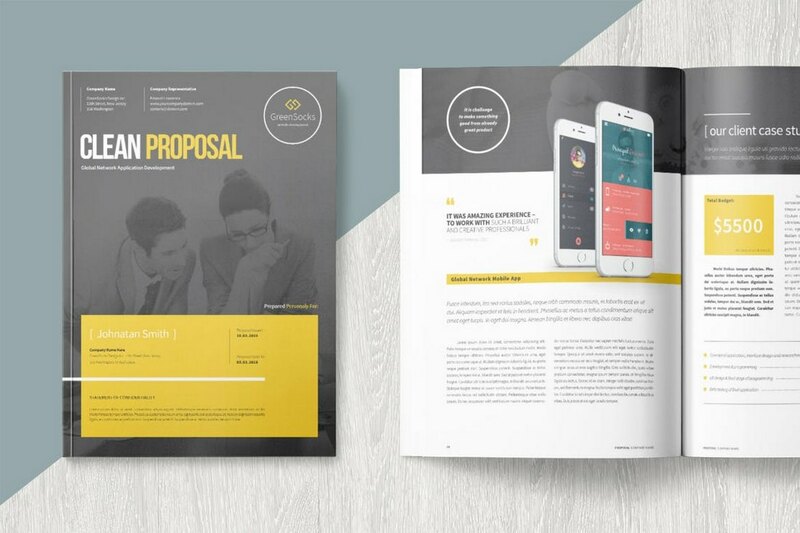 Even though this is technically not a flyer, you can use this business proposal template to present your upcoming events and projects like a professional. The template is available in the A4 size and it’s customizable with Word and InDesign. 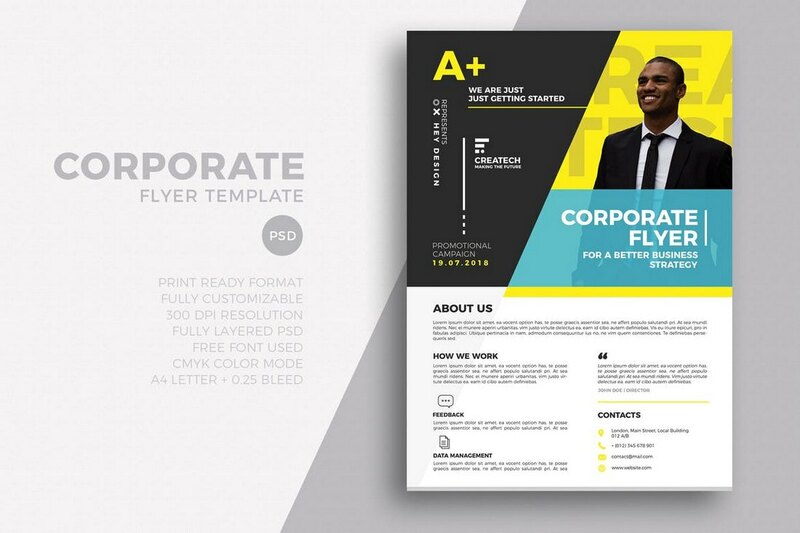 This modern and elegant business flyer template comes in both Photoshop and Illustrator file formats. You can use this template to promote your business, conferences, and events. A minimalist corporate business flyer template for promoting services and products. This template is easily customizable with Photoshop and it comes in A4 and A5 sizes. This unique flyer template will come in handy for promoting startup coding marathons and programming events and conferences. 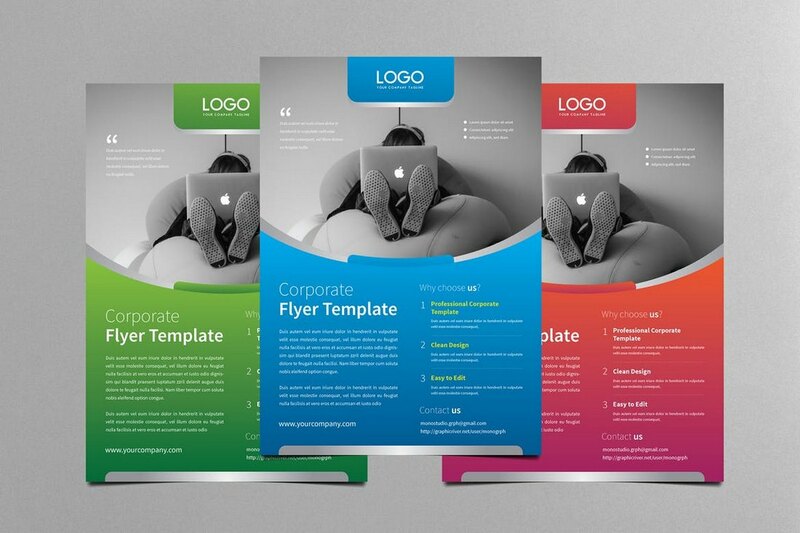 The template features a tech-related theme and it comes in A4 and A3 sizes as well. 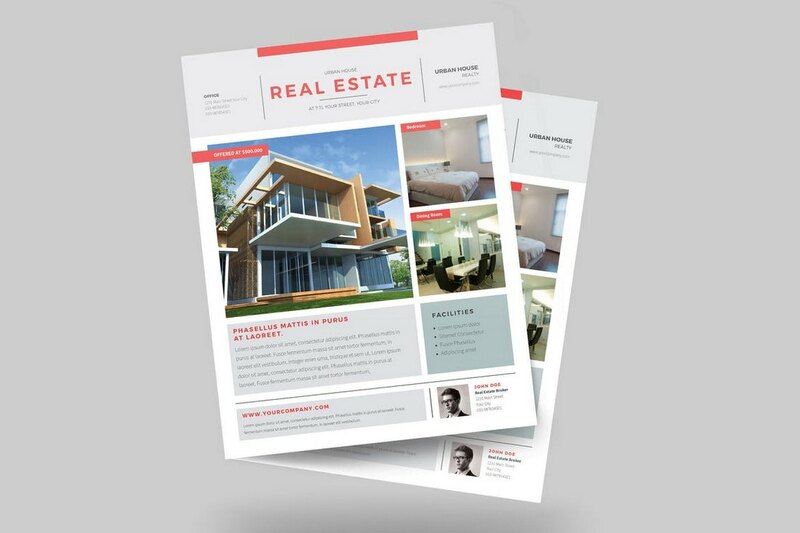 A modern real estate business flyer template that allows you to promote your houses and apartments using multiple images. The template is easily customizable and comes with smart objects for easily replacing the images. A modern and minimalist business flyer template for promoting your company and services in style. This template comes fully-layered to let you scale it however you like. It’s available in A4 size. This colorful business flyer template is ideal for promoting technology-related agencies and companies. It comes in Photoshop and Illustrator file formats and you can easily customize it to change colors as well. Another clean and creative corporate business flyer template you can use to promote your business and services. It comes in a fully layered PSD file and in A4 and A5 sizes. A creative business flyer template for modern agencies and businesses. This template includes editable text and image placeholders. It comes in A4 and A3 sizes. 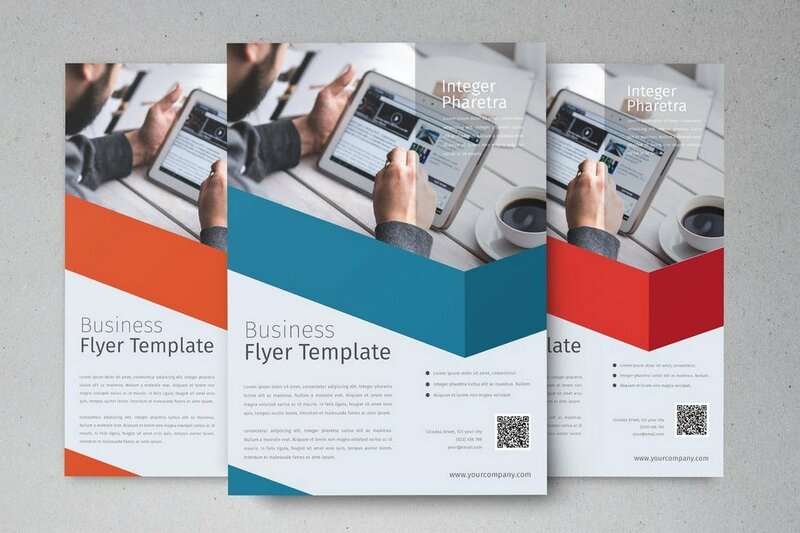 This is a bundle of 3 unique business flyer templates that you can use to present your business to customers. All of the templates are available in Photoshop, Illustrator, and InDesign file formats as well. Check out the event flyer templates and party flyer templates collections for more inspiration.